A local bond average (LBA) approach may complement existing approximations in terms of continuum medium and quantum computations. The LBA approach correlates the measurable quantities of a specimen to the identities of its representative bonds, and the energetic responses of these bonds (bond nature, order, length and strength) to external stimuli, such as changes in temperatures and coordination environments. 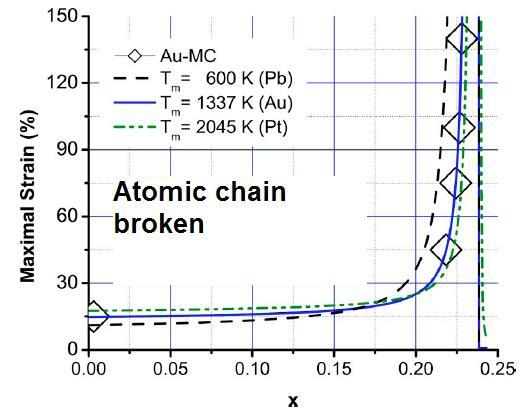 It is shown that the shortened and strengthened bonds between under-coordinated atoms and the consequent local strain and quantum trapping dictate, intrinsically, the mechanical behavior of systems with a high proportion of such atoms. The thermally driven softening of a substance arises from bond expansion and lattice vibrations that weaken the bonds. The competition between the energy density gain and the residual atomic cohesive energy in the relaxed surface of skin depth determines, intrinsically, the mechanical performance of a mesoscopic specimen; the competition between the activation and inhibition of the motion of atomic dislocations dominates,extrinsically, the yield strength of the specimen during plastic deformation. Therefore, the mechanical behavior of a specimen depends on its shape, size, the nature of the bonds involved, surface and interface conditions, and the temperature at which the physical properties of the specimen is measured. Excellent agreement with existent measurements of temperature dependence of surface tension, size and temperature dependence of elasticity and extensibility, and the inverse Hall–Petch relationship in nanograins have been established. Furthermore, these agreements have led to quantitative information regarding the bond identities in monatomic chains and carbon nanotubes, as well as the factors dominating the sizes at which a grain is strongest. In addition, the interface electric repulsion between nanocontacts due to the skin trapping and the associated local charge densiﬁcation may providefeasible mechanism for the superﬂuidity, superlubricity and superhydrophobicity as widely observed. The progress made insofar evidences the essentiality of the LBA approach from the perspective of bond formation, dissociation, relaxation and vibration and the associated energetics for the exposition of thermo-mechanical behavior of low-dimensional materials. 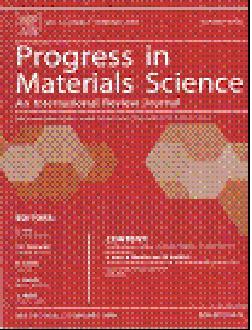 Extending the application of the approach to junction interfaces, liquid surfaces, defects and impurities, chemically adsorbed systems, amorphous states, and substances under other applied stimuli such as pressure and electric ﬁeld would contribute to better knowledge of such systems and could lead to the development of even more fascinating and proﬁtable materials.